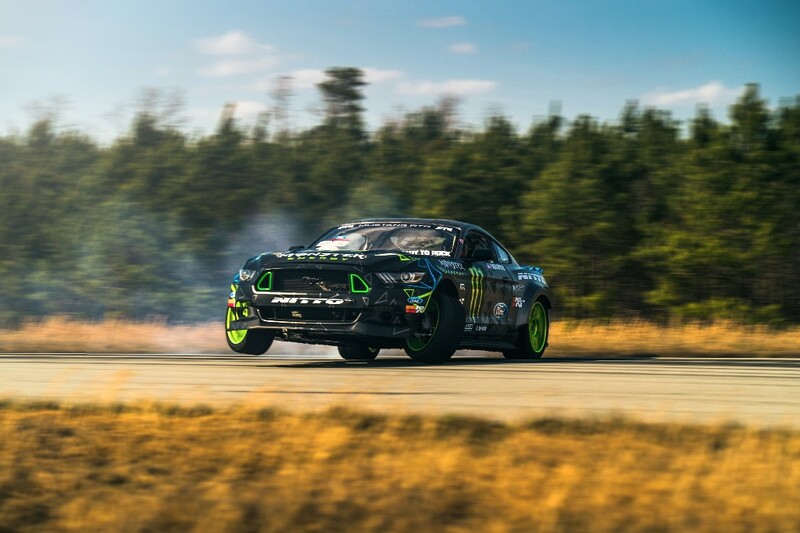 On April 9th, 2016, World Champion drifter and Professional Fun-Haver, Vaughn Gittin Jr, will debut his new 2016 Competition-Spec Monster Energy Nitto Tire Ford Mustang RTR at the first round of the Formula Drift Championship in Long Beach, California. 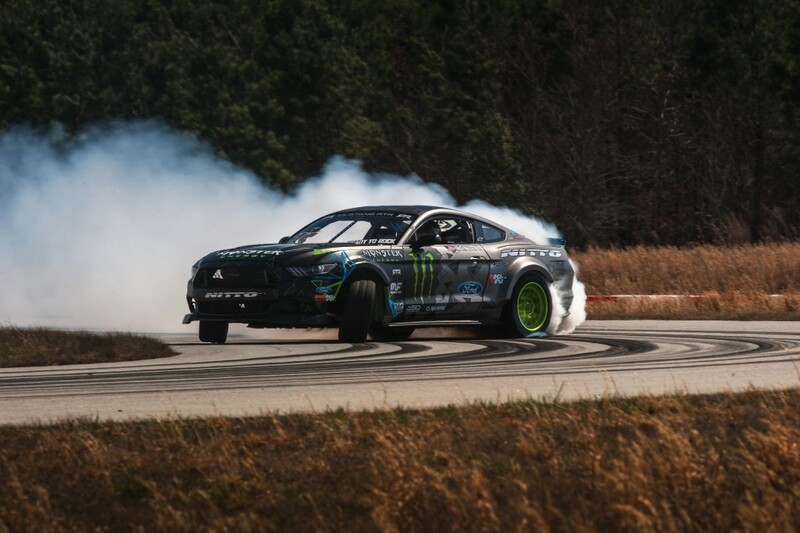 CLICK HERE TO SEE VAUGHN’S MUSTANG RTR IN ACTION FOR THE FIRST TIME! CLICK HERE TO SEE VAUGHN DRAG-RACE IS NEW COMPETITION MUSTANG RTR AGAINST HIS PREVIOUS MACHINE! In late 2014, Ford started shipping the globally-available and new-from-the-ground-up Mustang. Aside from the fresh body, the Mustang received a new suspension configuration that includes Independent Rear Suspension (IRS). The introduction of the IRS in the 2016 Ford Mustang presented the team with some new positive engineering opportunities in comparison to the previous generation’s solid rear axle. Power-wise, the Ford Mustang RTR is utilizing a 436 cubic-inch Ford Performance/Roush Yates Racing engine making over 900 horsepower. The team gained about 100 horsepower over previous years by simply switching to VP Racing Fuels C85 product. 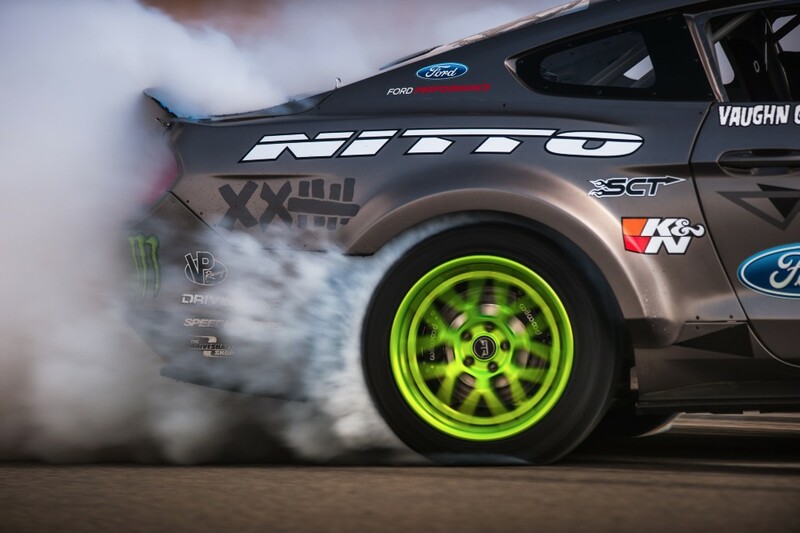 In addition to increasing horsepower and optimizing the all-new suspension to utilize the massive grip provided by Nitto NT05 Tires, shedding pounds was a big focus for the team to maximize performance. 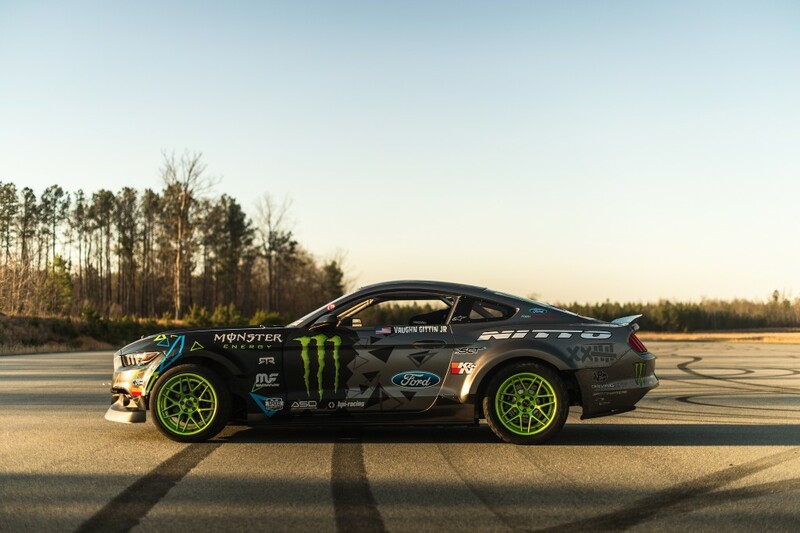 Utilizing light-weighting processes similar to what Ford is deploying in its production vehicles, the RTR Drift Team utilized composites as well as stronger and lighter alloys throughout the build allowing it to weigh in at under 3000lbs. After just one year of development, a recent test at NCCAR was the first real opportunity for the team to open the car up and stretch its legs with long sweepers and technical sections. Following the test, Vaughn and the RTR Drift Team had huge smiles on their faces as it seemed all the long nights and hard work had paid off. April 9th marks the first round of the Formula Drift 2016 Championship in the streets of downtown Long Beach California. Vaughn and the RTR team are pumped to get back into competition mode with their eyes set on a podium finish. If you can make it out to the Formula Drift event, swing by the RTR Drift Team booth to slap Vaughn a high-five and check out the car in person. If you can’t make it out, follow along on Vaughn’s social media (links below) or watch the Formula Drift live stream HERE.